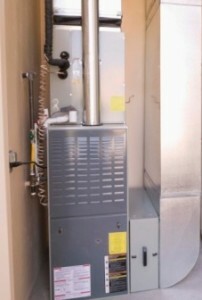 Many residents of the Phoenix area wouldn’t exactly call a malfunctioning or inoperative furnace a danger. Rather, it might be considered more of an inconvenience, causing slight discomfort as night time temperatures fall to about 40 degrees. Those who have experienced colder climates know that those temperatures are hardly threatening. And we agree. Risk #1: Fire. Without proper ventilation, a gas furnace can ignite items that are stored too close to its flame. Make sure that you replace filters often and never store solvents or other flammable materials in the same room as your gas furnace. Risk #2: Gas Leaks. Natural gas is a highly volatile compound and can cause explosions and fires with the smallest of sparks if left undetected. Though the incidences are rare, explosions are deadly enough to prompt natural gas producers to add the pungent, rotten-egg smell to the finished product as a way to alert homeowners to a possible leak. If you notice the smell, leave the premises immediately and call the gas company or 911 from a neighbors home, taking care to not turn on or off any lights on your way. Risk #3: CO Poisoning. Where natural gas smells like rotten eggs, carbon monoxide is a gas that is undetectable by humans. It is colorless, odorless and tasteless making it a silent killer that poses serious risk to homeowners. Carbon monoxide is a byproduct of burning natural gas and its buildup within closed quarters can cause nausea, headache, confusion, loss of consciousness, dizziness, muscle weakness and even death. Installing a carbon monoxide detector in your home is key in keeping safe from the effects of carbon monoxide poisoning.